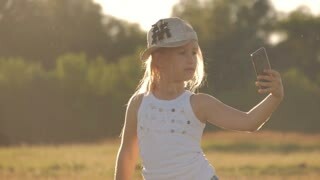 Cute girl teenager taking pictures of herself. 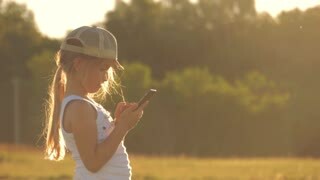 Young beautiful girl doing selfie on mobile phone at sunset. 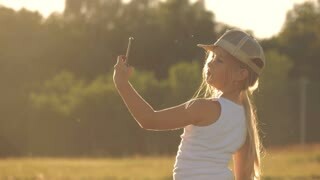 Young girl doing selfie on sunset background.